In my 1997 Nissan Skyline I had designed to look like Brian O’Conner’s from 2 Fast 2 Furious, I pulled up to Bamburgh Castle with a full suit and tie on. I let loose with my horn which just so happens to be the Windows XP shutdown noise and then as the camera panned around the beauty of the old castle, I stood, doing the Hotline Bling dance. After a moment taking in this beautiful sight, I proceeded to do a street race, a drift challenge, before quickly making my way back to the historical castle with the real players occupying my world to take place in a Forzathon event. Forza Horizon 4 is often ridiculously silly at times, but still a meticulous car racer when it comes to its motor vehicles. Set in a semi-fictionalized United Kingdom with a dynamic seasons system, Forza Horizon 4 quickly gets you excited for its world by letting you feel the burning rubber in Summer; blowing through a road full of leaves in Autumn; making your way over a now-frozen lake in Winter; and seeing plant life and farmland starting to grow in Spring. The seasonal changes haven’t been over-hyped as the main feature in Forza Horizon 4, they’re truly game-changing. 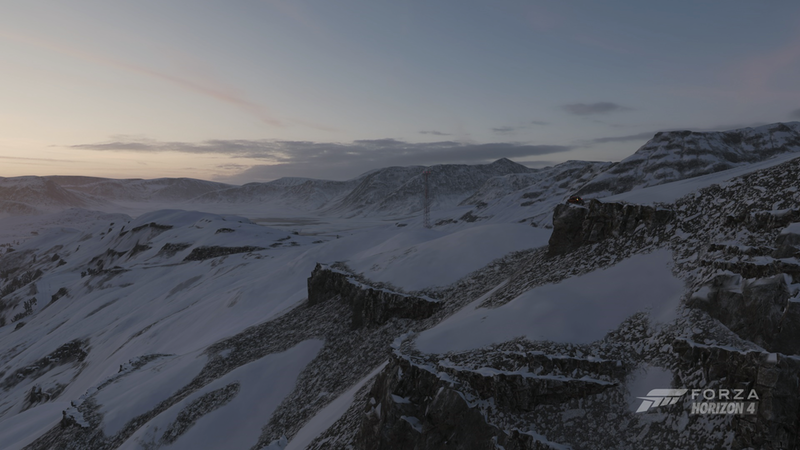 A track can feel completely different in each season you race; a mountain climb in Summer is a fun dirt rally, but in Winter it’s a dangerous slippery climb of death requiring, of course, a completely different car or tuning for your vehicle. The prologue for Forza Horizon 4 has you spend some time in each season before eventually you’re moved into the server with everyone else, and that’s where the season’s change only weekly, every Friday at 12.30AM AEST. Don’t feel the need to rush the prologue though, it took me about 8 hours to make it through the four seasons, but I was enjoying a lot of it and making the most of each given once you’re onto the live server, you can’t change the seasons in the world as you wish. If you did want to rush through the prologue, it’s probably about an hour to finish each season. In those opening prologue hours you’ll probably accrue a nice credit amount and, hopefully, some good cars from Wheelspins which, like previous games, you get as rewards for levelling up as a player. You can also get Influence points in the many different tiers available in Forza Horizon 4. These tiers level up from different things including completing street racing, dirt racing, story missions, drift challenges, or getting collectibles and even watching and streaming on Mixer. You constantly feel like you’re achieving something no matter what you’re doing in Horizon 4 as no matter what you're doing, even spending fifteen minutes searching an area for a hidden barn, it will get you experience and help build your overall Influence. However you choose to play Forza Horizon 4 is the right way, and that’s fantastic. The character models you have to represent you in-game (even if we all know it’s really about how fly your car looks) are distractingly plastic. It was hard for me not to laugh a little in the opening minutes as I was being told about the Horizon event and my goal to be the number one car racer in the U.K while my goofy avatar stood there nodding along with a stare off into the distance. Look, the cars are amazing in Forza and I’ll reiterate that in a moment, but the human characters are hilariously bad and obviously didn’t have much effort put into them. You can, however, unlock a rather big assortment of clothing choices to change up your avatar from Wheelspins and other places, along with changing the emotes you use for loading into a race and winning an event. This basically means you can make your rather silly looking avatar look even sillier and then make them do a collection of ridiculous dances. Luckily I’m easily amused and laugh every time I’m loading into a race and my guy was just going for it. With over 450 cars, Forza Horizon 4’s showroom is ridiculous. The most impressive thing isn’t the numbers though, it’s the love and detail put into each and every car, not just the supercars that’ll have the majority of the attention in the game. If your favourite car happens to be 510 Datsun you can upgrade that to an A-Class vehicle and still drive that all game if you wanted. You’re not pushed into switching cars apart from certain events and races that give you specific cars to drive, which are basically just the ‘story’ missions. I -- as mentioned in the opening paragraph -- am rather attached to my 2F2F Skyline even if it often lacks the top speed or acceleration I need for certain events, I continue to race it even though I’ve unlocked better cars simply because I like it. You can switch out wherever you are in the map anyway without any problems. So if I was trying to achieve a speed-zone score and wanted a car with more acceleration I can switch out and back to my Skyline afterwards to continue cruising the small villages. Owning a collection of cars isn’t a bad thing for several reasons. Firstly, I’d suggest a drift car, a dirt car, your main car and a couple of each to allow for class restrictions on races. If you find yourself with a huge garage and the increasing fuel costs are killing you (that’s a joke, you don’t pay for fuel), you can sell your cars in the auction house. Tuning options are very in-depth for rev heads to play with for hours on end in an attempt to get the perfect set up for their vehicle and you can share your detailed tuning online for others like myself to download. For most of us though, I’m sure you’ll leave that alone as I did. General upgrades to your engine, brakes and so on are easy enough for the layman to understand, but if all that’s too much for you there is a handy button to auto upgrade to whatever class you want your car to be. A new addition to Forza Horizon 4 is the ability to buy property. Everything from a small and very British home in a quiet village to buying a castle. Of course, the prices of these places vary and some of them do offer you bonuses for owning them, along with the ability to fast travel to them. Setting one as your home is where you'll spawn into the map whenever you load into the game as well. Fast travel does cost you credits though, but you can lower the amount by finding fast-travel boards hidden around the map. Unlike previous Forza games that occupied the map with drivatars, the world in Horizon 4 is occupied with real players as long as you're playing online. Up to 72 players will occupy a server where you can challenge each other to races or team up with your club to start touring around together taking on events. To stop any griefing you can't ram into others cars until you're in an event with them. You can chat using quick-chat and you’ll unlock more conversation choices as you play but the initial choices allow you to say simple things like "nice car" or "I found a secret." Forza Horizon 4 allows you to play the majority of events online either in co-op vs AI drivers or in a PVP event. You can, of course, play the entirety of Forza offline, but you’re missing a lot of the content and… well, I dunno what season your game would be if you always played offline either which is an interesting question. There are traditional Forza multiplayer games you can participate in around the map with other players like Infected and Flag Rush, if those are what you like to play. Some changes have been made to bring these more in-line with Horizon 4's more team and player focused elements, so in Infected, for instance, you can now heal your team members. The new Forzathon content is where the potential for innovation is though and Team Adventures is where Forza Horizon 4 shines as a multiplayer experience. Forzathon events appear in random locations around the map and give players five minutes to make it to a giant blimp hovering in the sky to take place in a cooperative challenge. 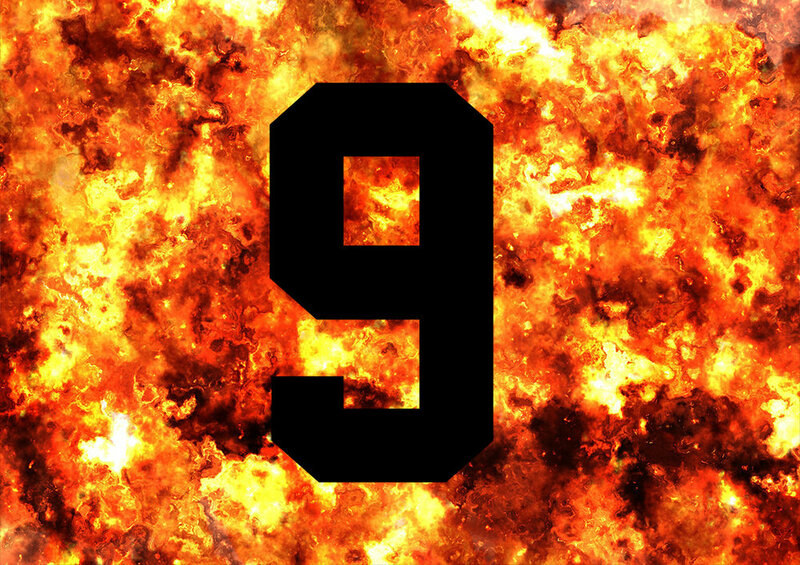 Players then participate in three rounds of team score-based objectives. These can range from getting a certain drift score to a jump score on a jump. If you all work together well, you’ll complete the third round and get some Forzathon points which can be used to buy items from the Forzathon store which updates weekly. The problem with these co-op based objectives is that they can feel like a big grind, and drifting backwards and forwards around the same spot for fifteen minutes can get very boring. Also, it only takes a couple of players not to participate to bring the whole team down and cause you to lose. It’s exhilarating seeing all these cars, yourself included, race toward the blimp from all sides of the map, but the content is just grindy and prone to losses from non-participation. Hopefully, future updates could add more interesting objectives, rather than simply using the already existing locations of drift spots, or jumps on the map. Team Adventures can set you up with randoms online or you can set up your own team to do adventures within 6 vs 6 teams. The races can be in the form of just a bunch of tracks around the map, or some games like the previously mentioned Infected, or even a mix of it all. Race modes will include general stuff like sprints, or freeform races which give you a location to get but with no track to stick to which can lead to players going off in all crazy directions as they attempt to find the best field-sheering shortcut. With Team Adventure you're encouraged to be the player in first as it'll obviously net you a lot of points for your team but if you're in the last place and can even overtake one player before the finish line you'll receive decent points as well. There are no other elements taken into account when racing, so it does just come down to which team of players have the best racers, but even with a weak-link or two on the team, winning consistently will see you carry your team to victory. There's only a handful of events that you're better off experiencing alone like Showcases which are ridiculous races against the odds. The first of which has you racing against several racers on bikes, but progress to racing against ridiculously silly, but epic things like— well, BIG things. Exhibition events ranging from street races to rally events allow you to either follow the default design for the race or, using the blueprint system, you can change the restrictions on the race to a certain number of cars, models, or brand along with changing the season for the race and weather, then upload your blueprint online for other players to race through. More customization for races is coming a few weeks after launch with a route creator and if that works as advertised — which is creating custom tracks anywhere on the map — paired with the blueprints there is near endless playability to Forza Horizon 4’s future. You’re not going to run out of things to do in Britain with missions ranging from a drift club to doing stunt work on a film. Along with the hidden barns to find, boards to smash, exhibition racers to complete, and that’s not even mentioning the online stuff like Team Adventures, but there is still more to Forza Horizon 4. Content that will be changing weekly, with each new season change comes new weekly events and tournaments along with challenges for players to complete. Currently, in the early access week reviewers were allowed, there are six autumn challenges on the map. These tournaments have three different races in them (future races could contain more or less) that you can do alone or online with other players. You achieve much higher rewards for these particular seasonal tournaments by competing against higher level AI cars however, which may push those looking for a challenge. Daily challenges will offer players incentives to pop in for a quick 10 Forzathon points, while weekly challenges will give those able to complete much the more time-consuming and multi-tasked objectives 100 Forzathon points. When considering you only get 30 for completing three rounds of a Forzathon Event and the highest costing thing in the store at the moment is 300 points, 100 points is a lot. If you were worried the United Kingdom might be a little boring, it's not, although it does seem to rain a lot. There's actually a decent amount of variation to the map thanks to developer Playground Games ability to mould together different parts of Britain and Scotland into one cohesive map that makes it all feel very natural. In the south lies the Horizon Festival Site, its surrounding areas are mostly farmland and small villages where you will often find farm life (you can't hit them) and tractors roaming about. In Autumn and Summer flying through these roads are quite beautiful, whereas in Winter it seems like a potential horror movie could be taking place in one of the barren backends of farmhouses. A sprawling beach lies on the east coast of Bamburgh Castle and a beautiful lighthouse leading to some skidding fun in 4x4's as you attempt not to lose control sliding across the beach surface. Derwent Water Lake lies in the west which is a sparkling odyssey in summer, but a frozen surface to skate over in winter. The fields surrounding the forests here in Autumn will be covered in hay bales, but move to life with fully grown fields as the seasons progress to Spring. Edinburgh, the capital of Scotland lies in the north, the biggest and most expansive city block in Forza Horizon 4 looks beautiful at night with clear skies as you take in famous locations like the Scott Monument -- and participate in a sneaky late night street race or two. You'll often forget it's even the same map as beaches go to small villages, then fields, to huge lakes and the streets of Edinburgh. 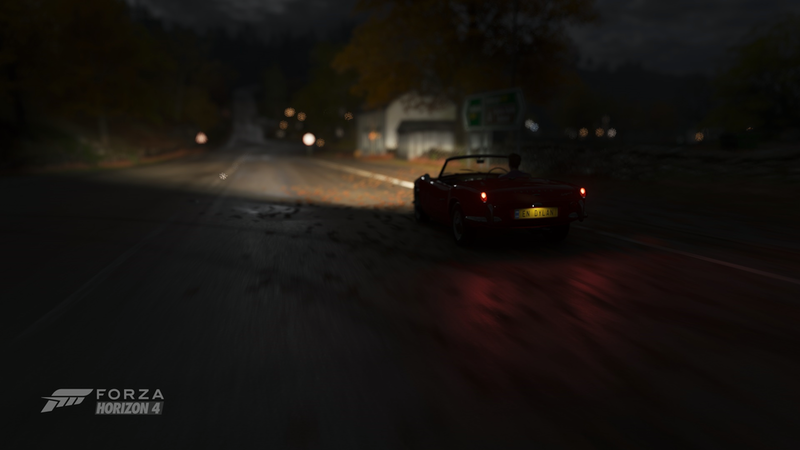 As seasons change it's even more evident that Forza Horizon 4 didn't need a huge one-to-one attempt at a city, its map is designed wonderfully and with the fantastic seasons system changing your world weekly, along with the random and terrific nature of a weather system that brings in blizzards during Winter and little sun-drizzles in Autumn, it's a living wonderful world ready to be torn to pieces under your tires. I have encountered a couple frustrating issues playing Forza Horizon 4 including ramming into a car that had just blinked into existence in front of me as I was in the lead. Falling through the highway as it disappeared below me and texture pop-ins that can be a lot more evident as you approach 300km/h. It's worth considering my hardware here of course, which is an Xbox One S and the game will presumably run considerably better on an Xbox One X or high-end PC. The Xbox One X, for instance, does offer the ability to pick higher graphical fidelity or 60fps in a performance mode. These are a handful of incidents my many hours with the game, but they are certainly annoyances and frustrating when it comes to something like the pop-in of a vehicle in front of you. The online server has dropped randomly for me several times as well which isn't game ending as the transition into an offline mode is seamless and drivatar's will fill your world in-place of real players. Most of the time this has happened has been as I’ve returned to the open-world from playing Team Adventure, which is off. Restarting the game would fix the issue, but that obviously isn’t ideal. Forza Horizon 4 is designed to have new and interesting content at all times and whether that proves to be true won't be easy to judge for at least a month from now. Will the same, or similar challenges be here when we’ve gone through each season once already? Time will tell, but for now, the gameplay loop is here and addicting. With the future of more cars, avatar items and more to keep the carrot on the stick dangling, Forza Horizon 4 will have players checking back in daily, or at a minimum weekly, for the new content, events and challenges to complete. Taking into account that I’ve only experienced two seasons of content so far but with Playground Games providing a roadmap for this ‘years' (months) worth of content it’s hard not to say Forza Horizon 4 is going to be one of the most fun games to return to on a consistent basis. 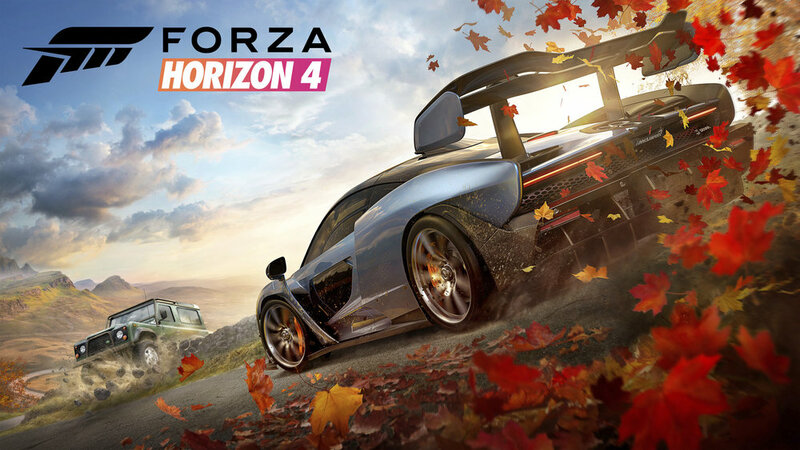 Rotating through a year of game time each month in Forza Horizon 4 is going to keep the game constantly feeling new and different, and if the team at Playground Games can keep the quality of weekly challenges and tournaments up, Forza Horizon 4 is going to be the car equivalent of checking into Destiny 2 for car enthusiasts. Forza Horizon 4 is a stunningly beautiful tour through the UK with a roster of cars that all control and sound unique with superb detail. The season’s system will keep Horizon 4 feeling constantly new and exciting, like a living world that is now populated with real players. This is the racing game to pick up in 2018 and one of the best games of the year.